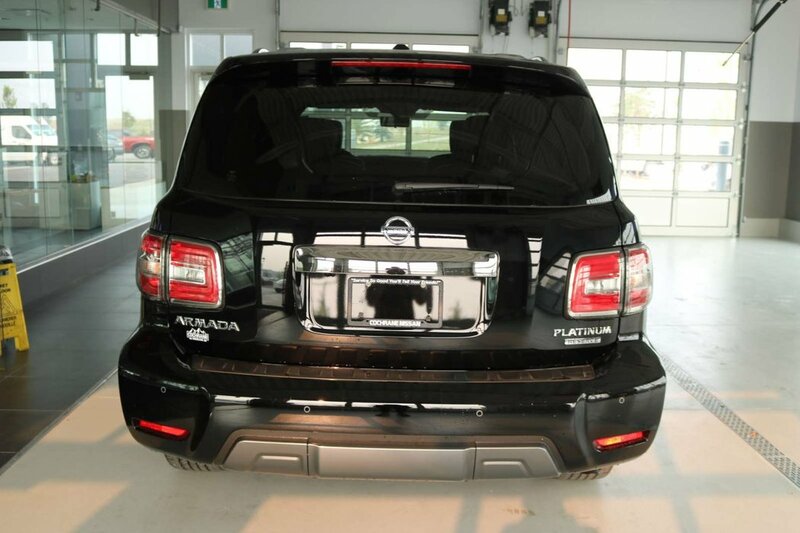 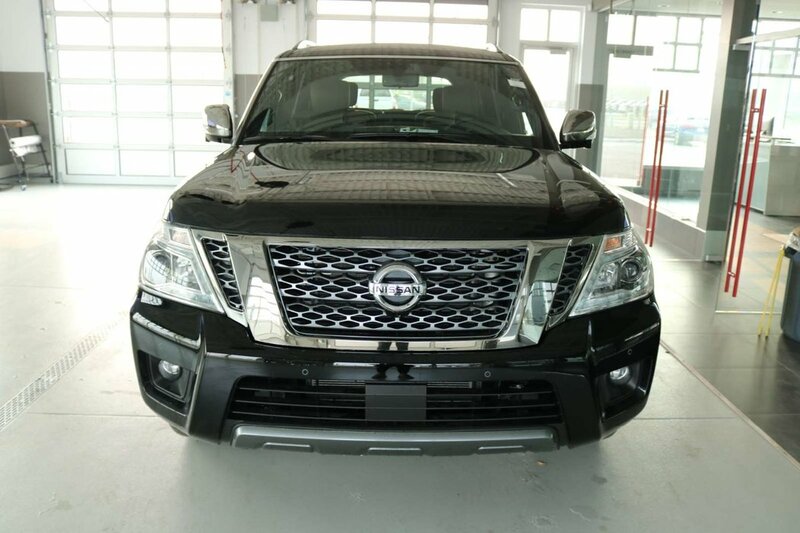 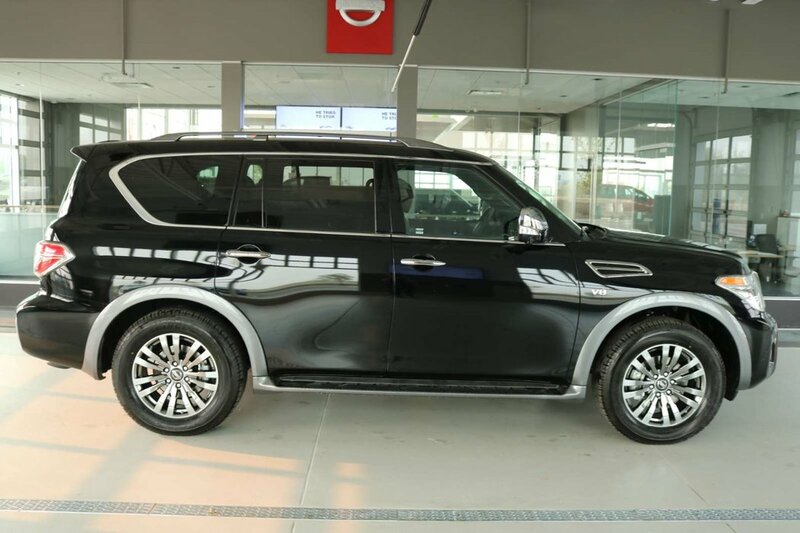 Presenting our 2018 Nissan Armada Platinum 4WD brought to you in Super Black! 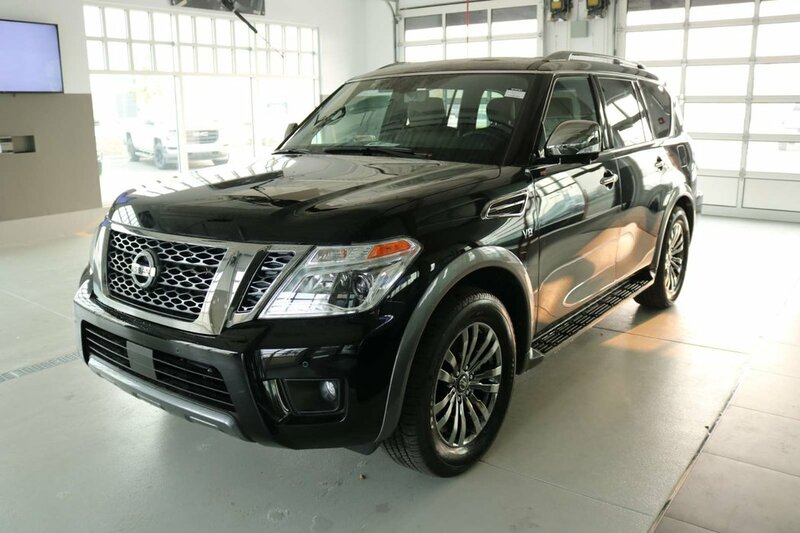 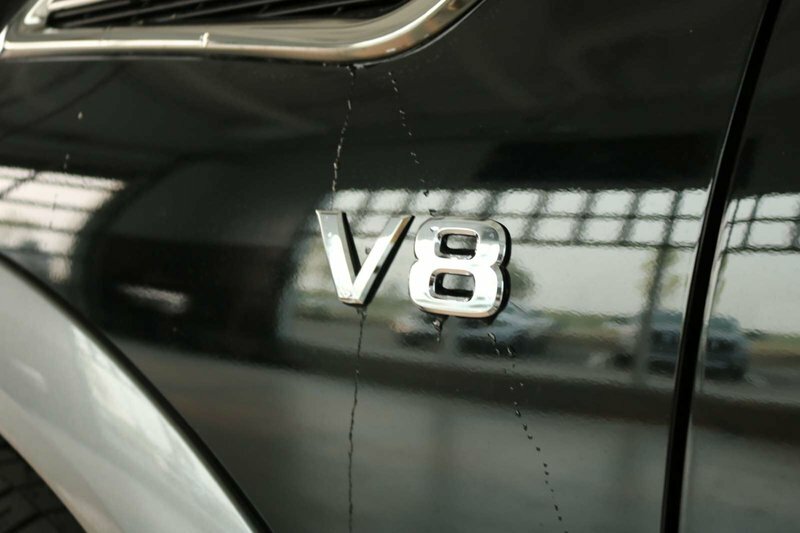 Powered by a proven 5.6 Litre V8 that generates 390hp while paired with a 7 Speed Automatic transmission with Tow/Haul mode lets you tackle your next adventure with ease while providing a smooth, confident ride and near 12.4L/100km. 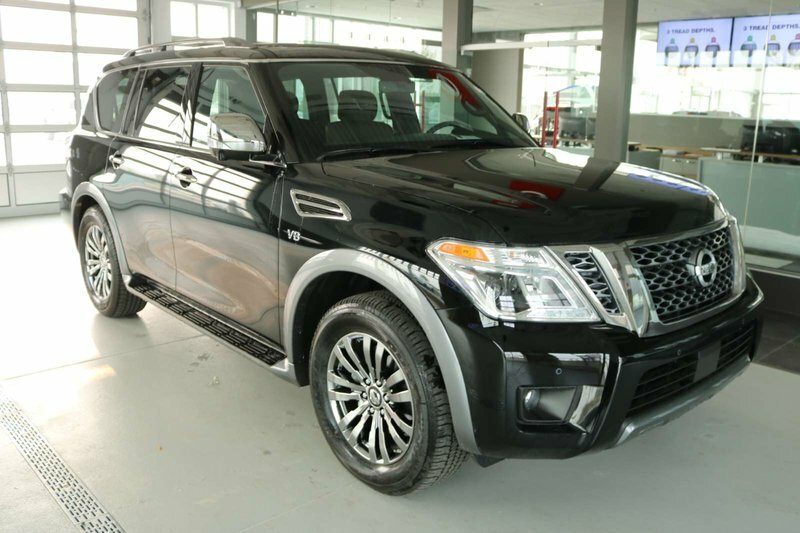 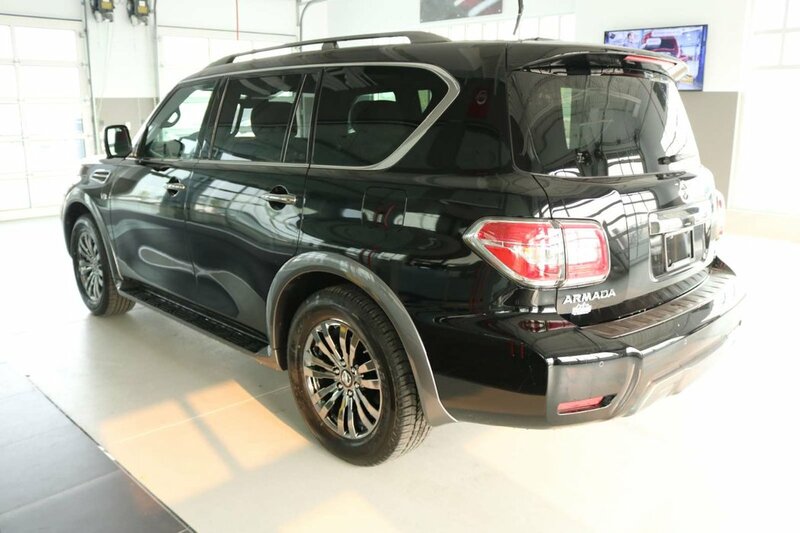 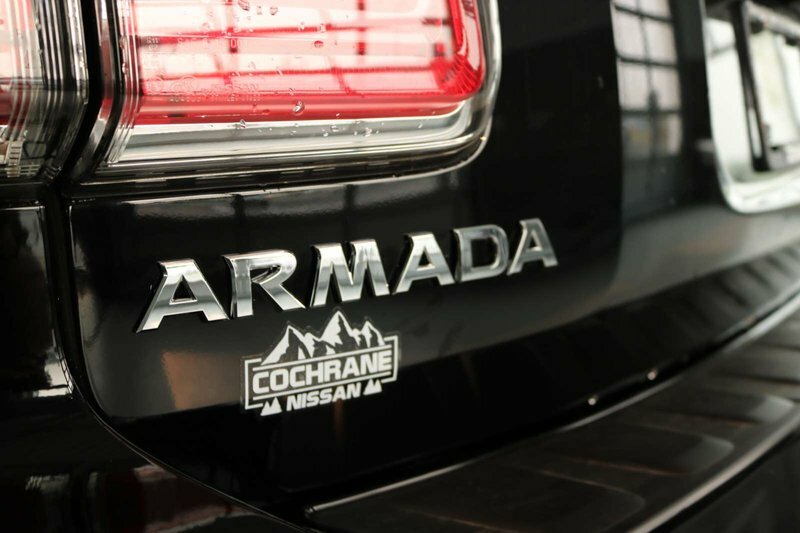 Our Four Wheel Drive Armada makes a powerful impression wherever it goes with a sophisticated stance and prominent wheels. 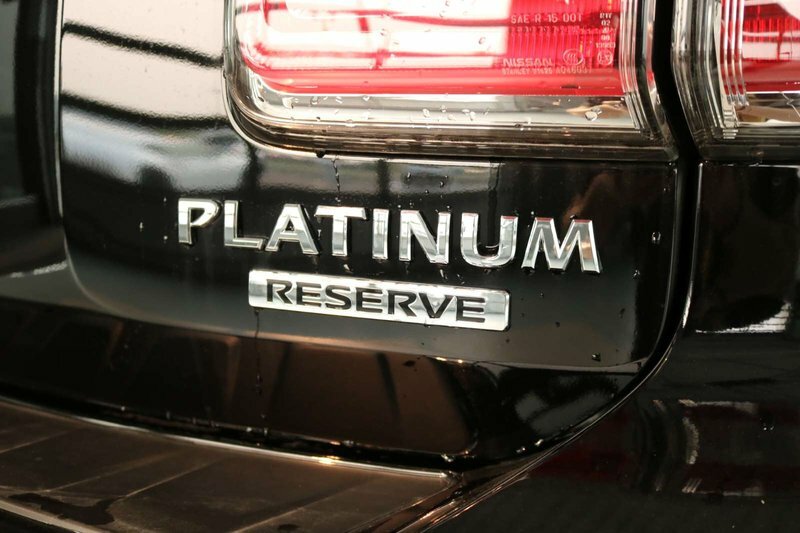 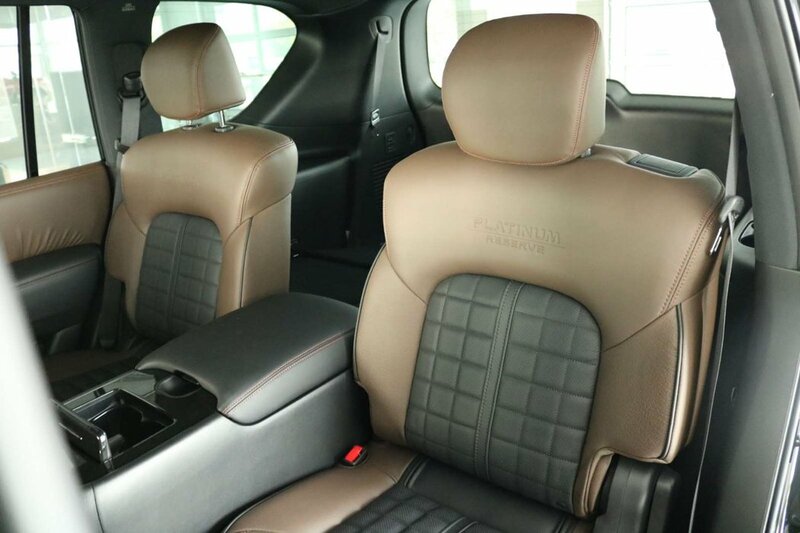 Inside our Platinum, you'll be incredibly impressed with the haven of comfort and convenience. 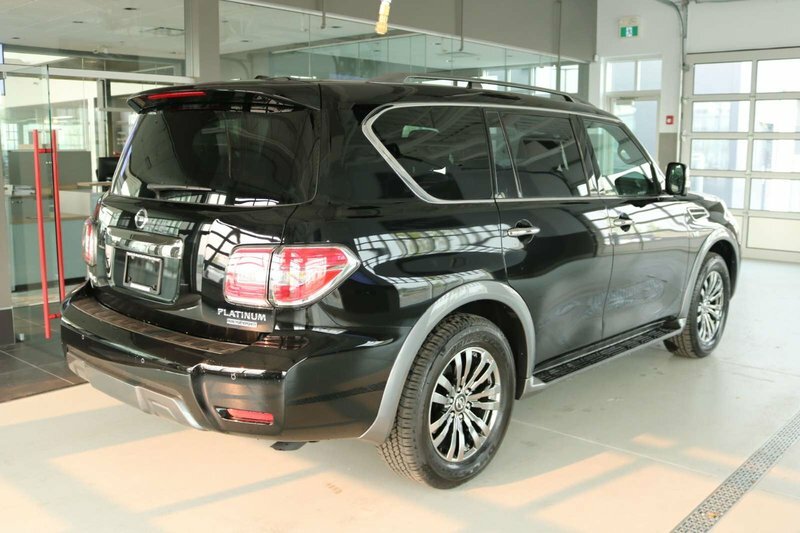 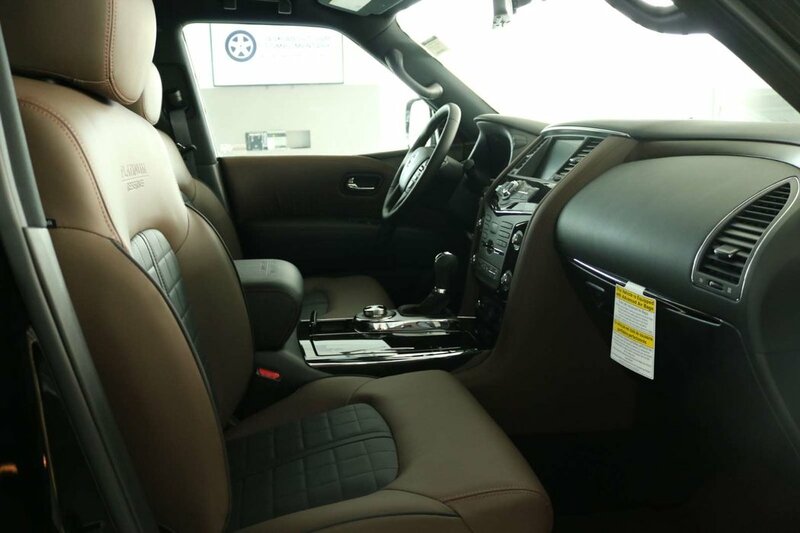 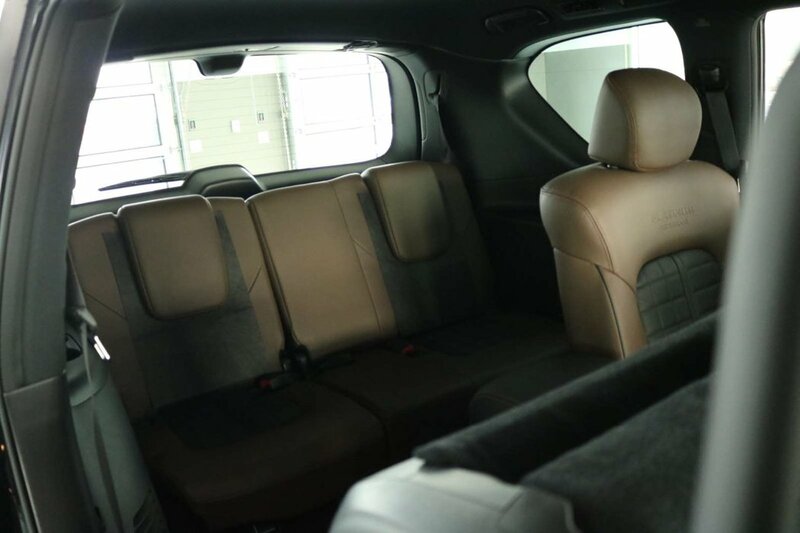 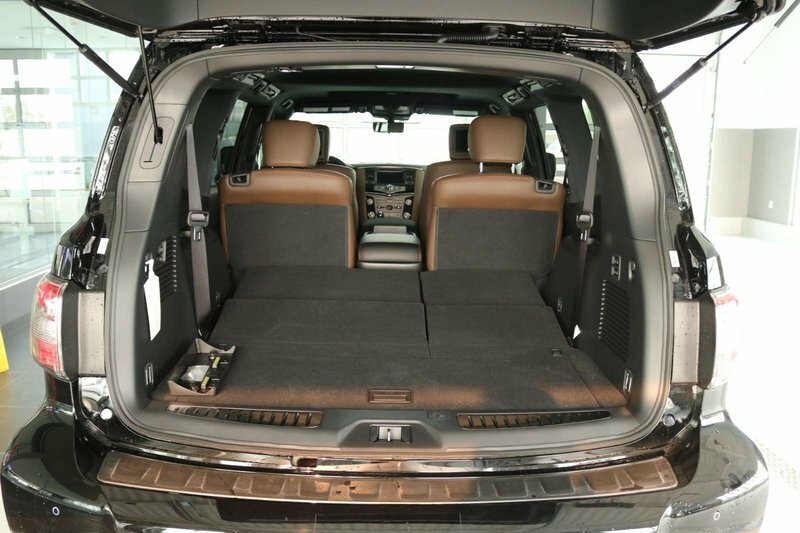 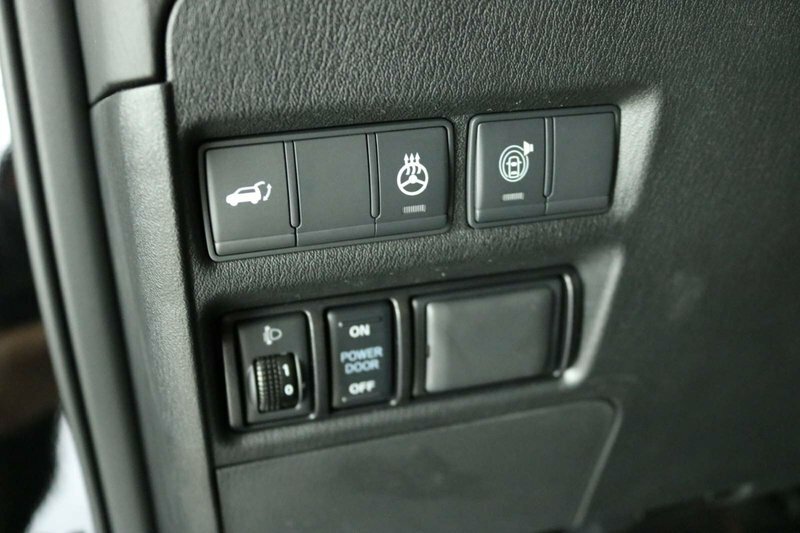 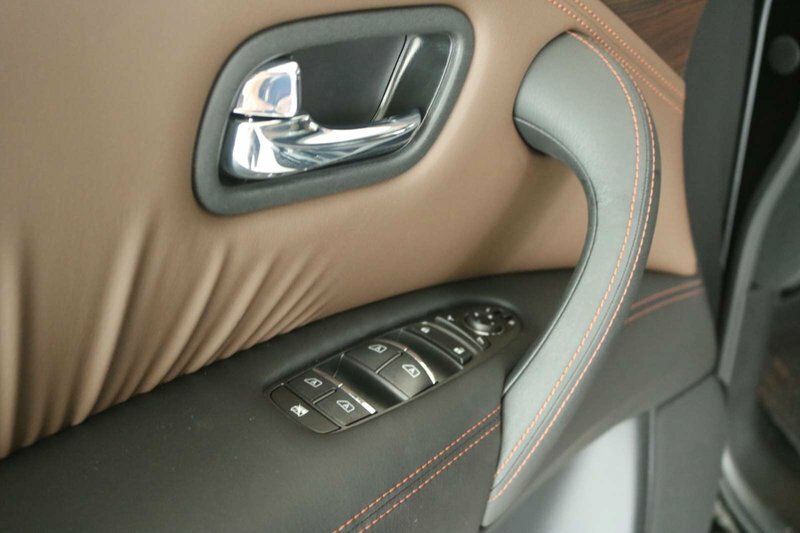 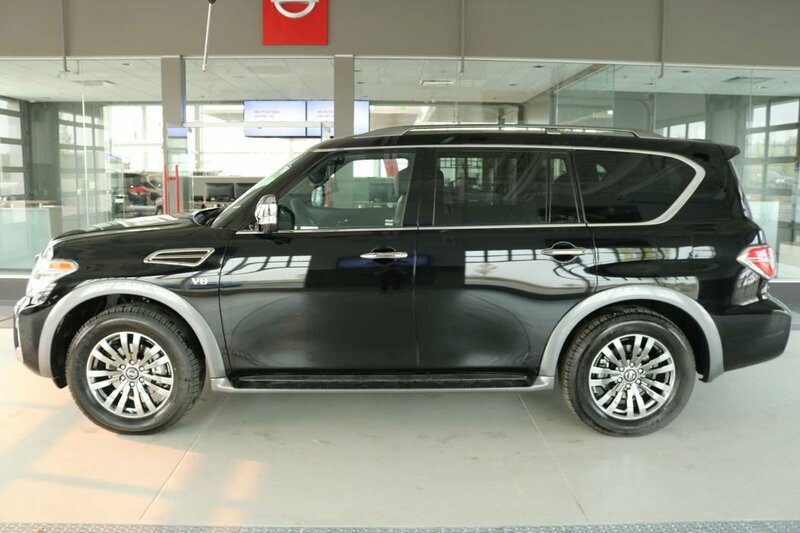 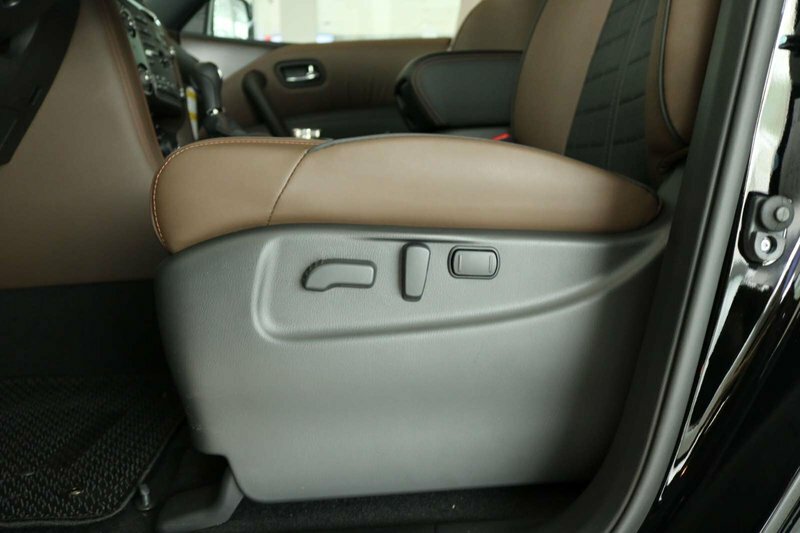 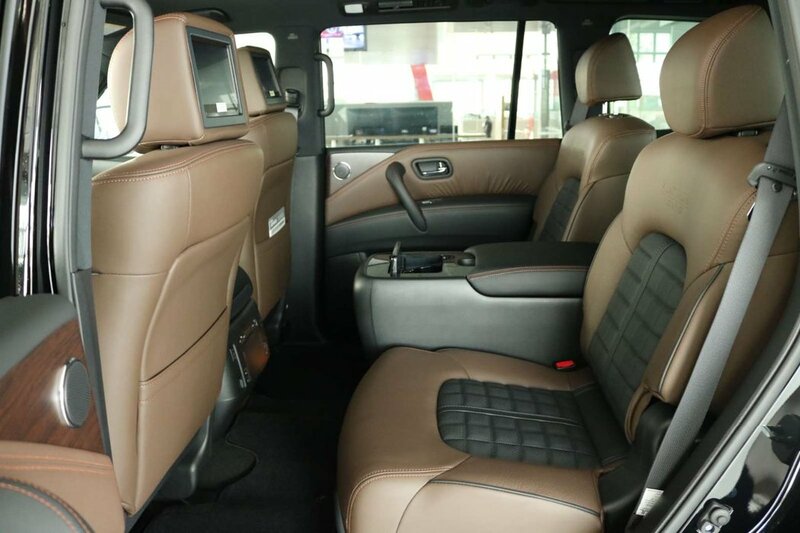 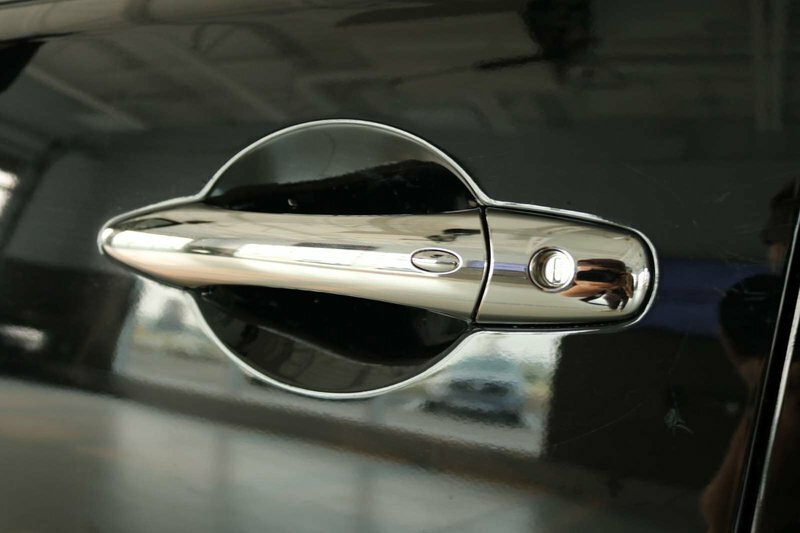 Bask in the supportive heated seats and take note of key-less ignition, a rearview camera, dual-zone automatic climate control, a vehicle information system colour monitor, and ample cargo space. 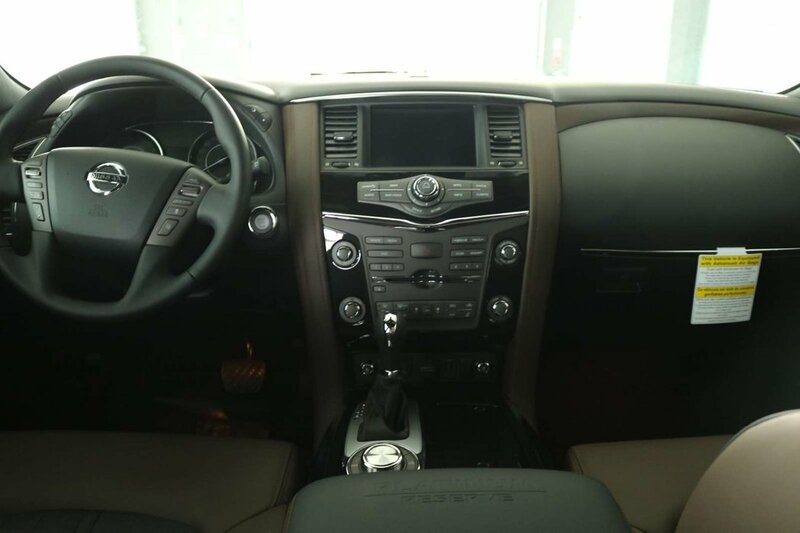 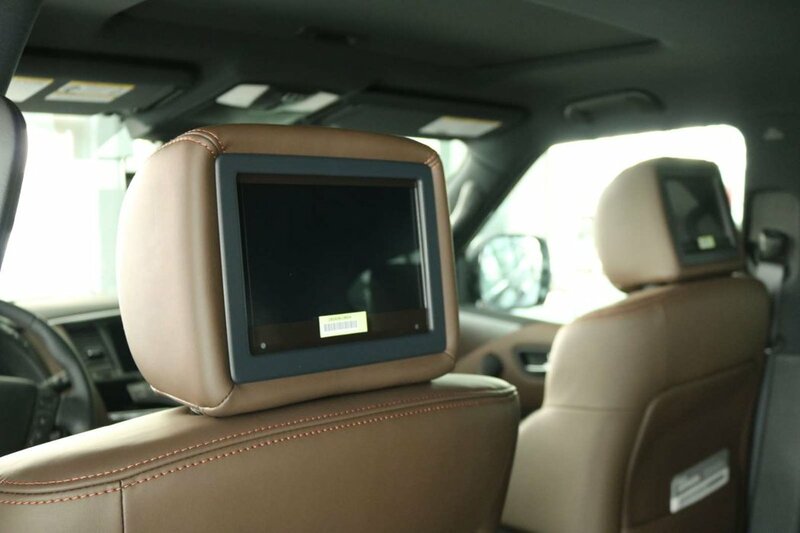 Technology is close at hand with our navigation system that features voice recognition with a colour touch screen, 13-speaker Bose audio, Bluetooth, and available satellite radio. 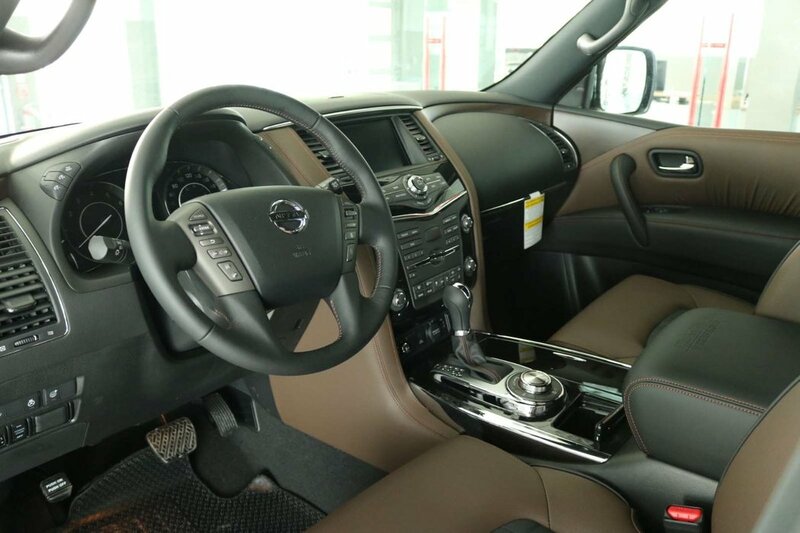 Settle in, turn up the volume and enjoy the ride!